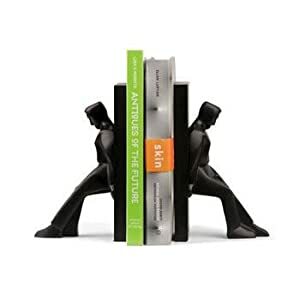 I used to have much cooler HP bookends (still do, back at Mom's house! ), but these were the only ones I could find still available. Oh well, they are still certainly very fun. The perfect way to keep your Beta Fish from seeing each other! Birds on branches. Like I said in my post on bookcovers, I just have a thing for birds. Some clever soul decided to purchase as many iPad-related domains as possible back when the iPad was announced... meaning that one lucky individual now owns a bunch of domains with little to nothing to put on them. What to do? What to do? A BACON VS IPAD POLL! As of this posting, bacon was overwhelming the iPad with a whopping 91% of votes. And people thought the iPad would kill the Kindle. Clearly bacon has been the unknown threat to e-readers the whole time. Also, in unrelated news, today is 31-cent scoop night at Baskin Robbins... yep, just 31 cents a scoop (plus tax, of course). The official word from the Marc Jacobs company confirms and denies nothing useful; ""We are indeed opening a new store, but do not have details--even a name--to share at this time," a representative said. Still, it sounds like an interesting venture, and it will be neat to see how fashion-guru Jacobs merges his style sense with book sales. Sadly, I won't be a resident of New York by the time it opens - but I'll definitely add it to my to-visit list when I return! For those that haven't heard yet, I'm moving! My fiancé has accepted a position in Baltimore, so he and I are relocating out of NYC and into to the lovely suburbs of Maryland. I grew up in Annapolis - see my gushing post on Michener's Chesapeake for more Maryland love - so I'm thrilled, although sad to be leaving New York (and with it my friends and my job). This means that in the next three months, I will be job hunting, car purchasing and house hunting... while planning an October wedding. So posts and reviews may start to peter off a bit, though I will certainly do my best. Apologies in advance for any slow weeks. That's all for today (see, the craze has already begun), but I will be back this week with a review of The Lost Summer of Louisa May Alcott, some thoughts on the Wheel of Time (this re-read is taking up most of my reading efforts at the moment), and hopefully another review, this one of The Swan Thieves (audiobook). New review of Book of Souls by Glenn Cooper up on Bookgasm. Actually, this went up last week... but I'm a bit behind in my blogging! Update and catch-up to come this week. I've done Great Bookcases, so how about great book covers? 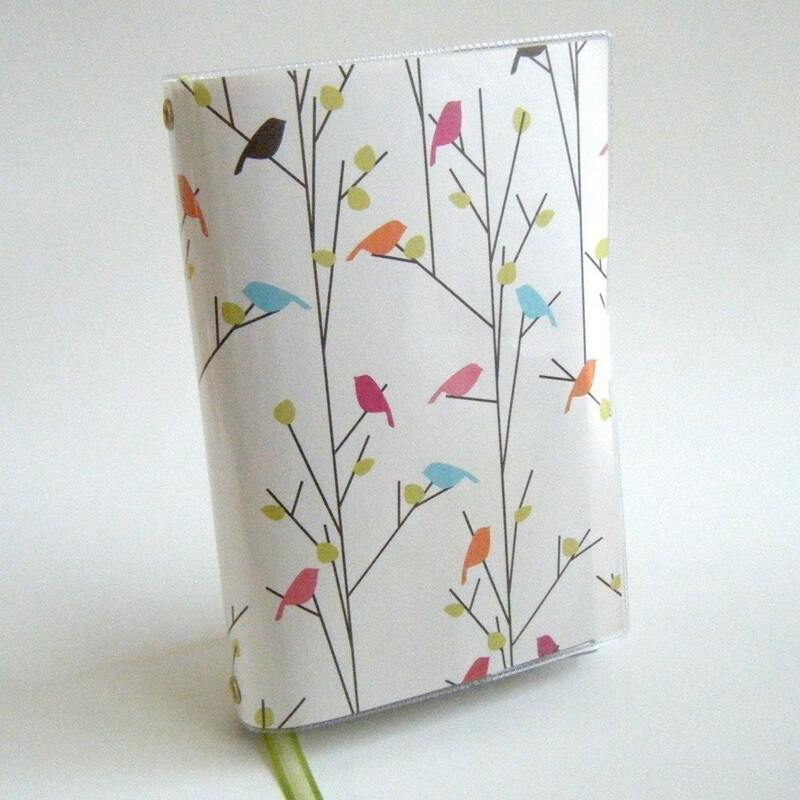 Check out these awesome ways to spruce up your literature - or hide that shameful cover. Make them think you're reading the great classics... or maybe you really are? Great bird frame, and other artwork. The Vera Bradley option. Most likely available with matching purse, eyeglass case, mirror, wallet, etc. You know the drill. * So much so that I have a tattoo of one's silhouette. Mostly so I can say/write/type the word silhouette more often. 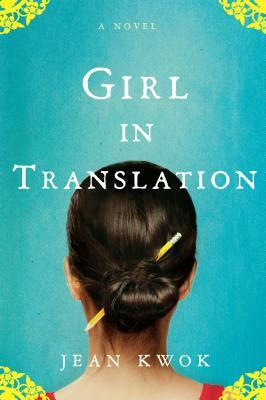 Congratulations to Mary from Bookfan, who won the ARC of Girl in Translation. Thanks to everyone for entering. If you didn't win, I still definitely recommend picking up a copy of the book. My review is here, if anyone missed it! Day for Night book popped onto my radar following Boswell and Book's glowing review a few months ago. At first glance, it didn't sound like something I'd necessarily pick up: a family vacationing in Florida meets a boat guide who takes them to swim with manatees. I have a weird bias against Florida-based novels, but I am ever-so-glad that I got over it for this stunning novel. Reiken's novel opens with this family, as mentioned, but the focus quickly shifts to their boat guide... who loves a girl who has a brother who falls in love with a woman who has a co-worker... you get the idea. I really can't sum up too much more of the plot without giving away the subtle genius of Reiken's novel (his third), but hopefully this is enough to have you hooked. In Day for Night, we are never given the same perspective twice - each chapter focuses on a different character in a carefully woven net of stories. Such an impressively diverse list of characters and perspectives seems guaranteed to lead to confusion and ultimately frustration, but Reiken carries it off flawlessly. Each character's time in the spotlight serves to introduce or revisit characters that narrate or have narrated in other chapters, and in the end, we are left with a finely enmeshed cast of characters that are all related and yet not, observed by others and yet explored in their own words. Each character is given his or her due time, and then their chapter - both literally and figuratively - is at an end. In finishing the novel, it is clear that this choice of construct is no mere happenstance - Reiken's method of relaying his story only serves to drive the story further home. Each ending is a beginning, and each beginning an end. Those characters that present themselves in the first person are also explored as they are observed by others, marking a stark contrast between how we see ourselves and how others perceive us. 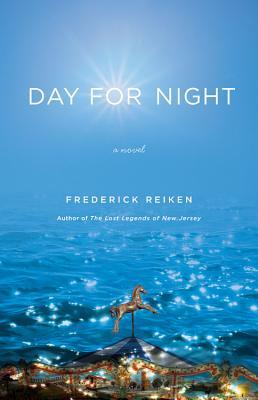 Bottom line: Any review can only begin to touch on the beauty of Reiken's novel. What he has crafted here is a brilliantly constructed collection of stories that are all carefully related to the others, bringing us a novel that borders on short story collection and story collection that borders on novel. With a perfectly presented and expansive cast of characters, excellent writing and a gripping storyline, Reiken's stor(y/ies) come(s) to life, making this a novel that will linger in the minds of readers for days to come. Details: Reagan Arthur Books, an imprint of Little, Brown. On sale April 26, 2010. Hardcover. Disclosure: Thanks to Marlena Bittner at Reagan Arthur Books for the review copy. Note: This book qualifies for the Reagan Arthur Books Challenge. Giveaway: Girl in Translation Giveaway Ends Tonight! Reminder! The giveaway for an ARC of Girl in Translation ends tonight at midnight. To enter, just leave a comment here on the original giveaway post. Extra entries for followers and sharing this contest. You can also read my review of Girl in Translation. What a wonderful book... and a great cover, too. New review of The Black Cat up on Bookgasm. Great read, especially for fans of Agatha Christie and classic British mystery novels. 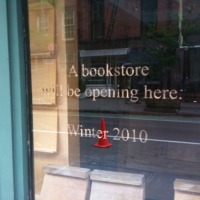 Ok, book-loving ladies. Are you sitting down? I'm not much of a purse-fanatic myself, but these are just too cool to not pass on to all the lovely booklovers out there in the blogosphere. From Rebound Designs: Yes, that's a purse. Made out of a book. I'm torn between loving this nifty little bags and hating them for what they are. The concept is really interesting, but the thought of tearing a book apart to make it... well that just breaks my heart a little. Thoughts? 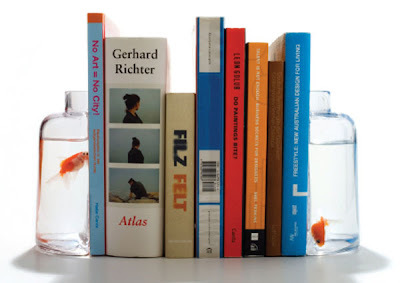 Are these cool enough to overcome the standard booklover's hatred of book destruction? To be fair, the website states, "Most of these books were damaged or being thrown away to begin with, I don't cut up valuable books or books in fantastic condition. I take great care to find books that are already falling apart or are unwanted, like out of date textbooks." They also offer to send the interior pages along with the purse when purchased, if interested. This is just a small sampling of what's available - see the full listing of products at Rebound Designs! Featuring everything from Doctor Zhivago to The Original White House Cookbook to Nancy Drew... and much more. ... 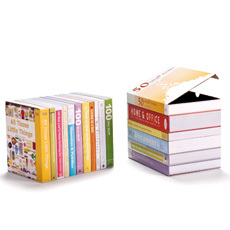 I thought I'd recommend some boxes that just look like books! Aren't these neat? If you didn't already read my review of Jean Kwok's astounding new novel, Girl in Translation, hop to it. Once you have, get ready for a giveaway. To enter, just leave a comment on this post! Extra entries: + 2 for following (via Friend Connect in the sidebar or RSS feed), + 1 for becoming a fan on Facebook or following on Twitter, +1 for tweeting/posting/sharing this giveaway. Please leave your email address and the number of entries you have in your comment. No need for separate comments. Contest is open for one week; entries must be in by Wednesday, April 14th. Winner will be contacted via email for a mailing address. Open to US and Canada only, please - sorry, but I'm paying for this postage myself! *I seem to have been double-shipped the ARC for this title, so while the publisher is in no way officially hosting this giveaway, I'd like to thank them for sending me the ARCs in the first place. Great book! See these and more on the Huffington Post's article on the Creepiest Children's Books EVER. And no, this is not an April Fools' Joke. These are real book covers. Jean Kwok's new novel from Riverhead Press, Girl in Translation, tells the story of an immigrant mother and daughter struggling to survive in the harsh realities of New York. They come to America seeking a better life under the care of a relative, Aunt Paula, who sets them up with an apartment of questionable legal status, no heat and a full supply of cockroaches. With an entirely illegal pay-per-piece factory job and limited knowledge of English, 10-year old Kimberly and her mother struggle to make the best of a terrible situation, one foot mired in traditional Chinese family values and the other struggling to keep pace with the harsh, fast-paced reality of poverty. Girl in Translation is an incredibly fitting title for this somewhat traditional coming-of-age immigrant tale. As Kimberly grows older, she grapples with love and romance in the face of her own aspirations and her desire to make a better life for both herself and her mother. Refusing to submit to the circle of factory life and the poverty to which she has begun to grow accustomed, she draws on her "talent for school" to go further than any thought possible, amazing and often frustrating her teachers, Aunt Paula, and so on. Kwok's strength as a writer shines through in her presentation of language, whether it be Kimberly's often amusing misunderstandings of English words or Kwok's careful definition of odd Chinese phrases (presented in English, but understood to be communicated in Cantonese). "Small-hearted" translates to humble, "eyes red" is jealousy, and so on. In this careful combination, Kwok presents a true girl in translation, steadily improving her grasp of the English language, and all of its odd slangs and sayings while simultaneously translating her Cantonese language into contemporary English. This clever use of language brings forth the idiomatic nature of both languages that any lover of language and translation is sure to enjoy. Bottom line: As Kimberly and her mother fight to get out from under the grasp of their jealous and somewhat despotic relative, Aunt Paula, readers are taken along on Kimberly's journey of growth and discovery. Through the use of subtle and clever language translations, Kwok brings to life the difficulties of reconciling one's heritage with modern American life; through stark descriptions of the poverty of the Chang family, Kwok reveals the startling realities of meager living. The novel moves somewhat slowly through the beginning, but Kwok really finds her feet on the ground by the last few chapters, giving readers a fascinating and heartbreaking tale of immigration, poverty, aspirations, friendship, love and sacrifice. Definitely recommend. Disclosure: I received an ARC from the publisher.